Table leaders Kampala Capital City Authority Football Club on Monday started life without coach Mike Mutebi on a low note when they were held to a barren draw by Mbarara City. Mutebi was handed a four match ban by the FUFA Disciplinary Committee over his match fixing comments. The game against Mbarara City was the beginning of life under assistant coach Morley Byekwaso in full charge for the Kasasiro boys. 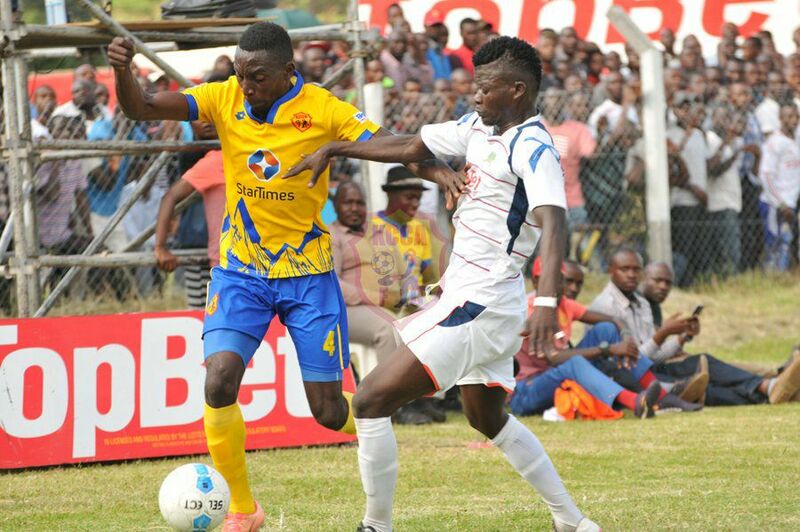 At Kakyeka, the home boys continued to cement their place in Uganda’s top flight league when they prevented the 12 time champions from scoring past them. Despite endless attacks on either side, none was able to break the deadlock at Kakyeka, a stadium which is slowly becoming a fortress for the Ankole Lions. The result saw both teams share spoils for the four time in the two seasons they have met. The draw at Kakyeka also saw Mbarara boast as the team to have collected the most number of points(23) this season at home having not lost any game. Of the nine games played this season at home, Mbarara City have won 7 and drawn two . Speaking shortly after the game, KCCA FC assistant coach Morley Byekwaso rue missed chances but said the team will always bounce back. “We created many chances and had we converted them, we would have won the game. The league is still a marathon and we still have an upper hand to win the league,” Byekwaso said. In other games in the StarTimes Uganda Premier League, Jinja based BUL FC beat Maroons by a goal to nil to move fourth on the log. A Farouk Banga goal on 41 minutes was enough to separate the two teams in a game played in Jinja. KCCA FC are still on top of the StarTimes Uganda Premier League log on 37 points, above second placed Vipers whereas Mbarara City are third. In the relegation zone, Nyamityobora, Ndejje University and Paidha Black Angels are in the 14th, 15th and 16th positions respectively on the 16 team log.